Our eyesight often worsens after the age of forty due to the ageing of the lens. Presbyopia or age-related farsightedness is a decrease in the ability of the lens to focus, which initially affects near vision, but over the years also alters our ability to see further away. Age-related farsightedness is traditionally corrected with glasses or contact lenses. 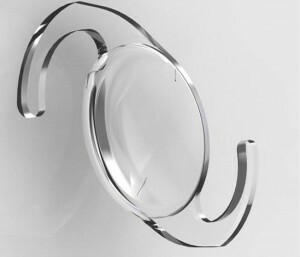 There are now several surgical solutions for presbyopia, those that temporarily solve eyesight problems (such as laser surgery, or intracorneal implants) and others that offer a permanent solution (intraocular lens implants that replace the lens). These treatments are customised solutions that can also simultaneously correct other vision defects. What types of operations exist for correcting age-related farsightedness? Monovision (or combined vision): consists of leaving one eye at zero dioptres for distance vision (called the dominant eye) and one with myopia of one and a half dioptres for near vision. 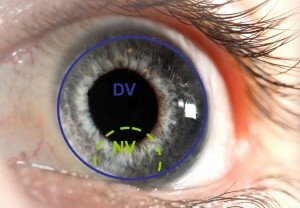 This achieves an acceptable vision for both distance and near in the vast majority of patients. Presbylasik: a multifocal cornea is created with the aim of restoring near and distance vision at the same time in both eyes. The PresbyMax system is an internationally patented system developed by Vissum’s R&D&i department especially for this type of technique. It is important to emphasize that the ability to focus achieved with these techniques will never be as perfect as before presbyopia, although in most cases it is better than without glasses for near vision. These implants can be intracorneal (a temporary and reversible solution) or multifocal intraocular lenses that replace the lens. Intracorneal implant: consists of implanting a flat ring or a microlens in the cornea, which allows a change in the depth of field and clear focusing on close objects. It is a temporary solution to presbyopia which allows restoration of near and intermediate vision. It is a simple, minimally invasive technique with a very rapid recovery. It is also easily reversible if the results are not satisfactory or if the degree of the patient’s presbyopia changes in the future. It is useful for patients with moderate presbyopia. Multifocal intraocular lenses: lenses that function in the same way as a progressive lens in high performance glasses but inside the eye, replacing the ageing lens. They are implanted in a simple operation in which the lens is removed and they can correct myopia or hyperopia as well as presbyopia. In addition, if toric lenses are used, astigmatism can also be corrected. The lenses are customised, being tailored to each patient’s visual needs and eye condition, because each type of lens provides different benefits. What types of intraocular lenses are used for correcting presbyopia? Monofocal: lenses that only correct one vision defect. A different one is implanted in each eye, leaving one eye slightly myopic for near vision and perfectly correcting the other eye for distance vision. This is similar to the intervention with a monovision laser, but using intraocular lenses. Multifocal: these lenses are similar to progressive glasses allowing you to see near and far at the same time. They are customised lenses that are custom-made for each patient. Toric: these lenses correct astigmatism combined with myopia or hyperopia. To correct presbyopia it is still necessary to wear glasses for short distances. Toric lenses are customised lenses. Multifocal toric: these are the best lenses as they correct farsightedness, nearsightedness and astigmatism all at the same time. They are the most expensive due to their high degree of personalisation and effectiveness. Vissum is one of the international centres with the most experience in the use of multifocal intraocular lenses. We have also conducted numerous investigations into the use of the different multifocal lenses commonly used today. After the intervention you will no longer need to use glasses or contact lenses for most activities, your eyes will recover their natural vision, improving the quality of your eyesight and your quality of life. Vissum provides its patients with the latest techniques for solving presbyopia, depending on the visual needs of each patient, their age and the anatomy and condition of their eyes. With Vissum’s team of experienced ophthalmic surgeons you will feel you are in good hands. Ask for an appointment with our specialists in presbyopia surgery to find out about the most effective solutions for your situation.